Home » Equipping Men Blog » What is a Disciple? Go, and make disciples of all nations…most of us would agree that this is the most important mission we’ve received from our Master, Jesus Christ. But in order to fulfill the Great Commission (Matthew 28:16-20), we first have to understand what exactly it is we are making. 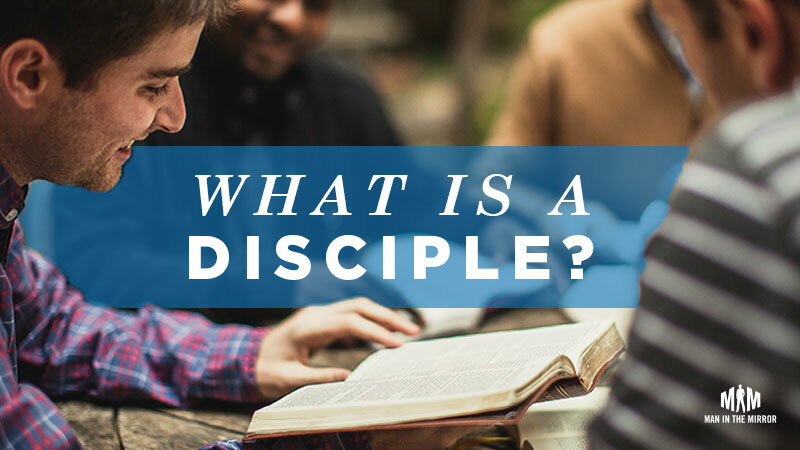 In the Bible, the word for disciple literally means “pupil” or “learner.” When applied to Christians, a disciple came to mean someone who declared a personal allegiance to Jesus and His teachings. By the example of Scripture, we see that making a disciple went far beyond just imparting information or spiritual wisdom. It involved a life-changing transformation of a man—from asleep to awake, blind to seeing, dead to alive. When Jesus called His twelve disciples, they left everything to follow Him for three years. They listened to His teachings, ate meals together, experienced His miracles, grew in understanding, failed and were restored, and participated in His ministry to the poor, the sick, the outcast, the broken. When we make disciples, we are calling men to the greatest pursuit a person can aspire to. And a personal system that offers a reasonable explanation for why the first two are so difficult! Every man wants to get to the end of his life and feel like it counted for something, like he had a purpose, like he mattered. Many men find this in their work—hoping to build a career or at least a bank account—that others will respect and admire. For other men, it might be in their kids’ accomplishments, or a personal hobby, charitable work, or following on social media. In addition to something to give their lives to, men want someone to share their lives with. Typically it includes marriage, but it goes beyond marriage as well. Contrary to popular opinion, men were made for relationships. How else would we explain the popularity of fraternities, sports teams, and bars? All of us are looking for meaning, happiness, peace, contentment, and satisfaction. By default, a man will look for satisfaction primarily in his accomplishments (something to give his life to) and in other people (someone to share it with). Most men will also tell you they are frustrated with the difficulty of finding success in their accomplishments or relationships. Every man has to decide what he believes will make him happy. A man who puts his faith in his career or achievements will soon find that the world constantly asks the same question: “What have you done for me lately?” Fail to perform and the party’s over. What men need is the gospel. The gospel is the one system that actually works—a system that helps men change the core affections of their hearts. A man who puts his faith in Christ can understand what authentic happiness is and how he can experience it. It also explains why it is so hard to find these things using the world’s systems. This process of helping men move from relying on themselves or others to relying on God is discipleship. It is a lifelong process of deepening a man’s relationship with God. We will talk more deeply about this in our next post. A disciple is called to walk with Christ; they possess faith in Jesus Christ. A disciple is equipped to live like Christ; they are engaged in a process of spiritual growth and transformation. A disciple is sent to work for Christ; they serve the Lord. The biblical case for this definition can be made by examining Paul’s admonition to Timothy in 2 Timothy 3:14-17. Making a mature disciple is helping a man to understand, believe and live out the truth of the gospel. As a man does this, he is transformed by the working of the Holy Spirit in his life. While the surrounding culture is focused on telling men to just be better, to pull ourselves up by our own bootstraps, at Man in the Mirror we believe in a higher calling—one which leads to lasting change—as men follow in the footsteps of the Savior. There is no better calling than this. Will you join us? The Big Idea: A disciple is called to walk with Christ, equipped to live like Christ, and sent to work for Christ. If you are enjoying this blog and find it helpful, why not subscribe below so you don’t miss the next one? We are going to continue diving deeper into the No Man Left Behind model, and how it helps leaders build and sustain a thriving disciple-making ministry for every man in their church.